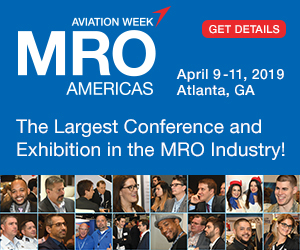 We will be exhibiting and unveiling our new website at MRO Americas in Atlanta, GA, April 9-11. Meet our sales, technical, and leadership teams in booth #2713 and experience how we are continually setting the new standard in the industry. As a thought leader in engine tooling, we will also be presenting at two conference events: Tooling Life Cycle – A Case Study with Ethiopian Airlines and Next Gen Engine MRO, Repair Technologies & EIS Support. Join us in both educational sessions to learn more about engine tooling. Join our Technical Program Manager, Tradan Chase and Aftermarket Services Director, Brandon Lafferty as they break down the life cycle of tooling and the importance of technical support. Brandon Lafferty, Aftermarket Services Director at Rhinestahl CTS, will moderate this progressive session which explores the projected impact of incoming platforms as the industry approaches a new era of aero-engine technology. How can MROs ensure cooperation with OEMs, which tooling and repair processes should aftermarket players invest in and what challenges can suppliers expect?